I’ve combined the top-performing trends today ” social media and small business consulting ” into an all-in-one solution you can use to get started today. While most are missing out, you can get the first-mover advantage thanks to the step-by-step process in this program. Watch the video lessons in the members area using any device connected to internet. 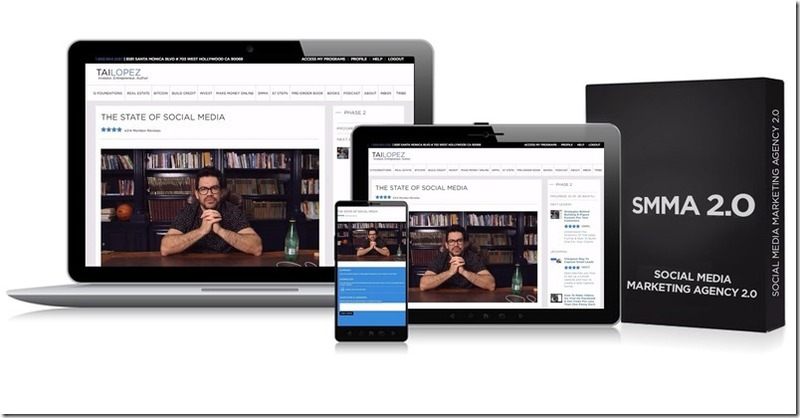 Downloadable “offline” templates and scripts are also included so you can learn on the go. You can spend years collecting all the necessary skills and knowledge alone OR get everything in one convenient place and launch within 4 months ” before the trend is long gone. I have multiple staff members on standby to help you with whatever issue you might stumble upon ” available 24/7. As a member of the Social Media Marketing Agency 2.0 you’ll get priority access to my team.